Mr. Veeramani started Gem Granites and entered into the Stone Industry in 1971. He brought the latest technology to India in granite mining and processing. At that time it was considered a pioneering and bold decision for manufacturing and export of value added products from India. Gem Group has 7 stone factories exporting to about 60 countries including USA, Canada, Germany, Spain, Italy, China, Taiwan, Hong Kong etc. The granite products are dimensional blocks, random slabs, cut to size slabs, calibrated tiles, calibrated slabs, surface plate slabs and monuments. The Group has diversified into sugar manufacturing and biomass electric power generation. The Group has also Textile Mill producing cotton yarn and knitted fabrics and garments. The Group also has a Resort Hotel, Holiday Inn Gem Park at Ooty. The company also has an IT BPO set up. The Group is also into construction of housing apartments. 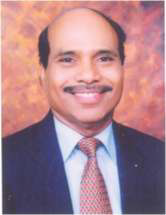 Mr. Veeramani is the President of CAPEXIL, Kolkata (Export Promotion Council Sponsored by the Ministry of Commerce & Industry, Govt. of India). He is also the President of Indo Russian Chamber of Commerce & Industries and a Member of National Tourism Advisory Council (NTAC), Ministry of Tourism, Govt. of India. He had been Chairman of Chemicals & Allied Products Export Promotion Council – CAPEXIL; Chairman of Extreme Focus Committee on Granite Industry & Development Panel for Granite Industry; a Member of Board of Trade, Ministry of Commerce, Govt. of India and a Member of Granite Development Council, Ministry of Mines, Govt. of India. His biggest achievement had been as a Founder President of FIGSI (Federation of Indian Granite & Stone Industry). Under his leadership the first International Stone Fair "STONA 87” was organised at Bangalore. Many STONA International Exhibitions have successfully been held. He was also the Founder Chairman of Export Promotion Council for EOUs & SEZ Units; Past President of World Natural Stone Association (WONASA), Spain; Past National President of Indo American Chamber of Commerce; Past President of the Southern Indian Chamber of Commerce & Industry and Past President of Indo-Japan Chamber of Commerce & Industry. On the occasion of India's 50th year of Independence, a special award by the Government of India was given to him in recognition of outstanding contribution in the field of Mining and Marketing of Granite for India. He instituted the "GEM GRANITES ENVIRONMENT AWARD", an all India Award, distributed annually from 1991 -92 through Federation of Indian Mineral Industries (FIMI), New Delhi for development and promotion for environment. Granites products manufactured by Gem Granites have been used in more than 60,000 buildings in Japan alone. The stones are used for pavements and benches in Nanjing Dong Road, Shanghai, China for more than 3 kms. Moulded Indian Granites have been used in the "HOLOCAUST" Memorial, Washington D.C., USA, unveiled by the President of USA Mr. Bill Clinton. Extensive use of granites has been made in buildings and monuments in South Korea, USA, Canada, Japan, Germany, Singapore, UAE, Kuwait, Taiwan, China etc. As a service to the society, he founded Anna Gem Science Park School in Chennai as a Joint Venture with the renowned Anna University, one of the top Engineering Universities with several engineering colleges under its guidance and management. Mr. R. Veeramani not only had the vision to develop unorganized granite industry into an export earner but also had the capability to organize stone industry so that stone sector achieved fourth position in global stone export.